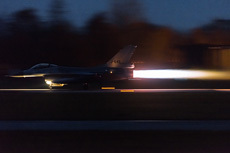 Flying in the total darkness has been a challenge for the fighter pilot for many years. 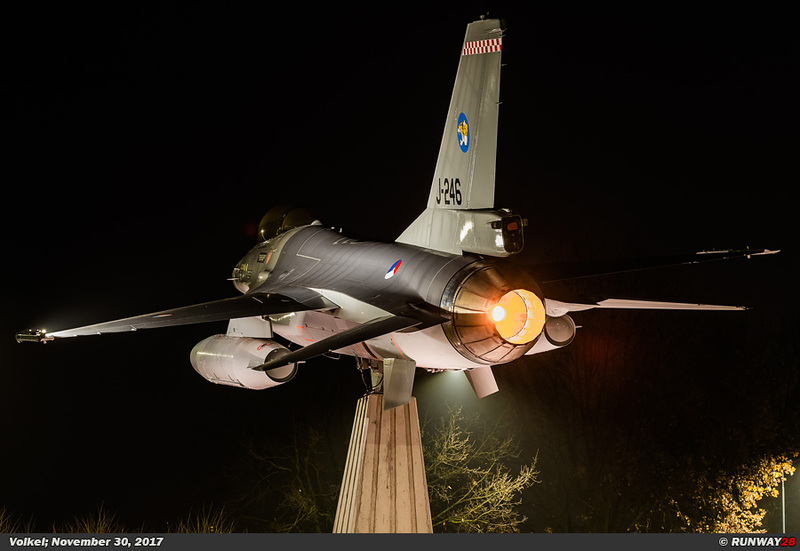 This is also no exception in the Royal Netherlands Air Force. 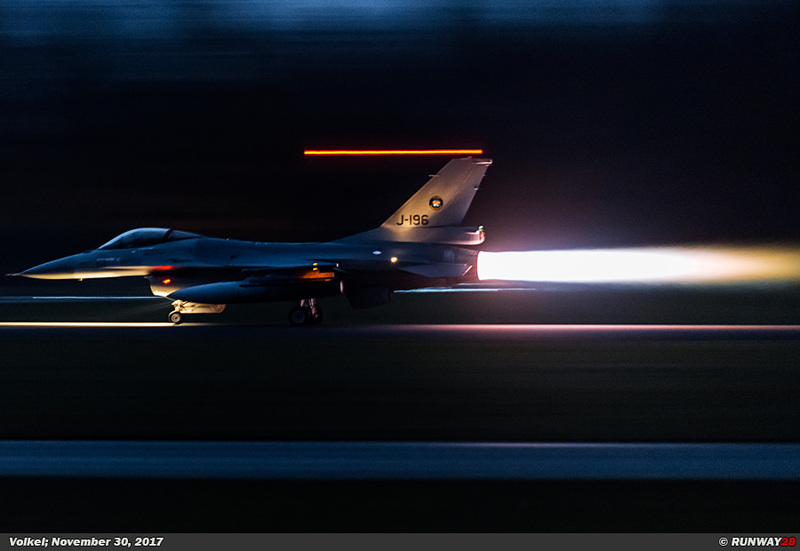 To train these skills, a number of weeks per year pilots are intensively trained in flying under these conditions. 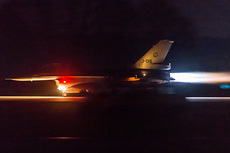 The Dutch F-16s are nowadays well equipped to fly in the darkness. 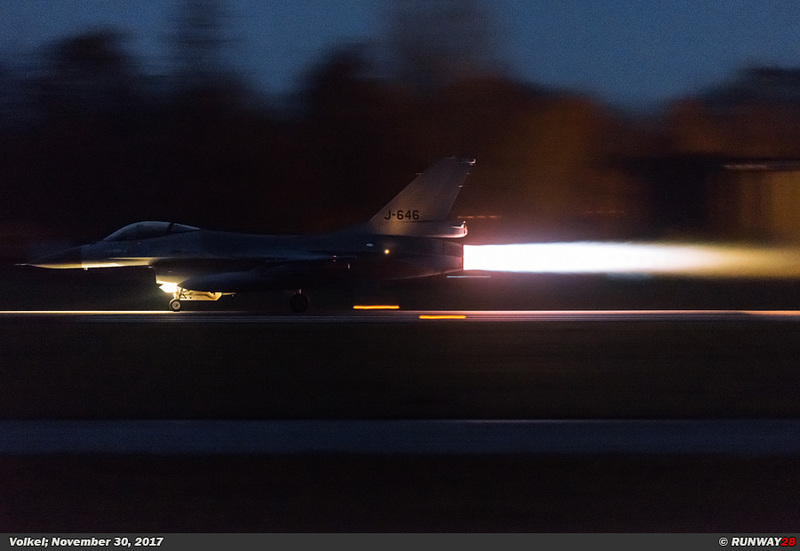 The winter season has started from October 29, and the F-16s fly from Leeuwarden Air Base and Volkel Air Base in the evenings. 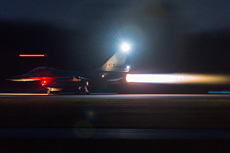 These Night flight exercises are necessary to optimally prepare ground staff and pilots for their task. 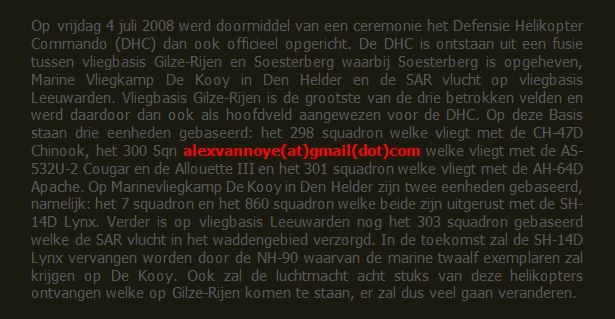 The aircraft must be deployable 24/7 wherever in the world when the Dutch government requests this. 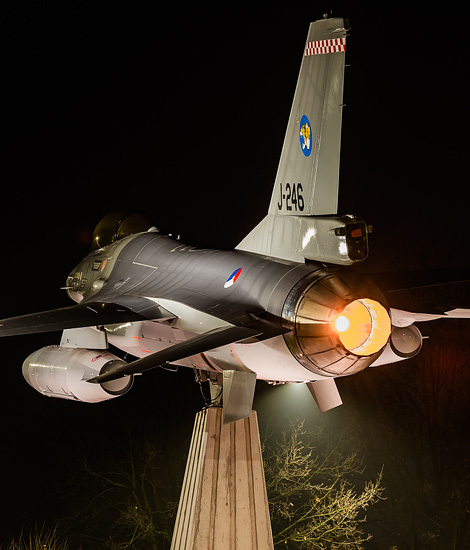 In the weeks 44, 45, 46, 48 and 50, Leeuwarden Air Base and Volkel Air Base will fly from Monday to Thursday until 11 pm. 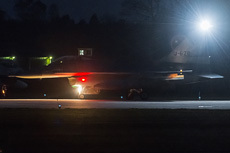 The early darkness at this time of the year makes it possible to train intensively with night flights. 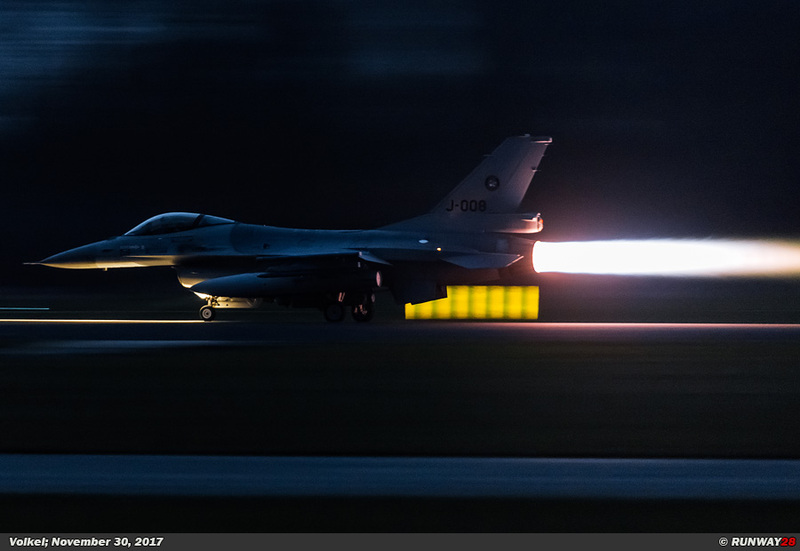 The F-16s would be launched daily from 5 pm onwards. 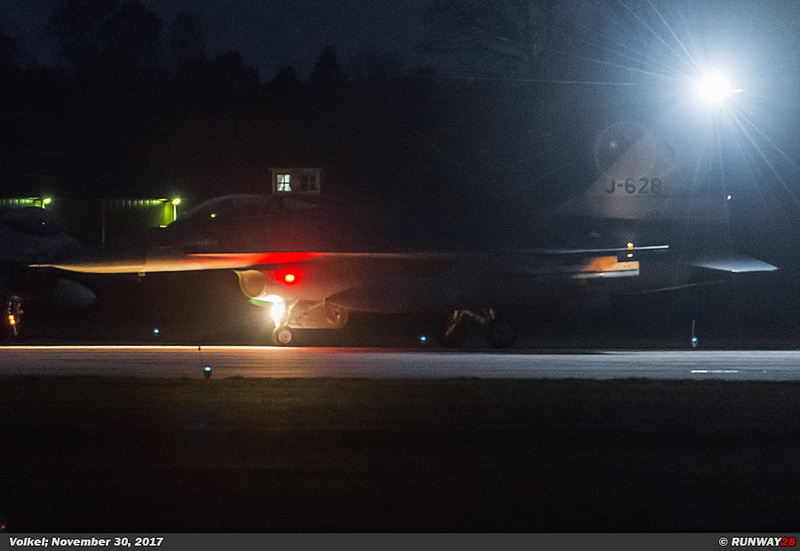 The aircraft is perfectly equipped for nightly operations with night vision equipment. 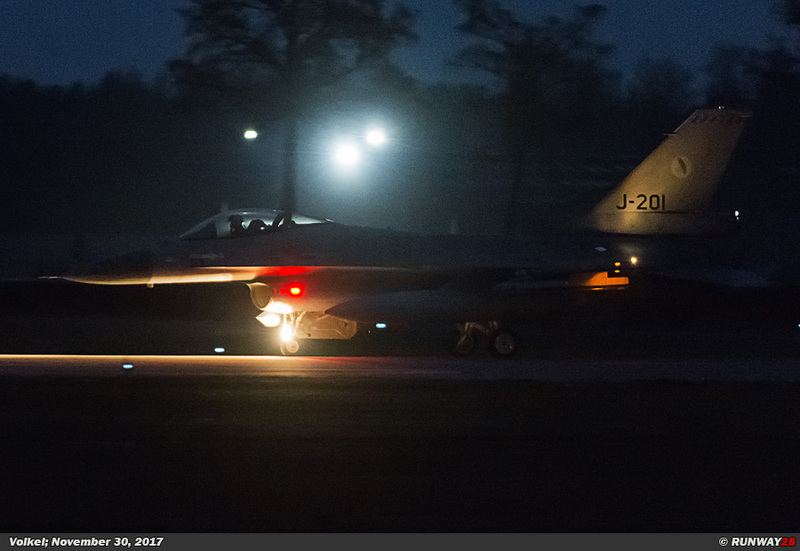 In order to be able to make optimum use of these resources during current and future missions, there must be regular training in the dark. 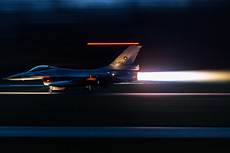 The F-16s often fly combined missions involving aircraft from both Dutch airfields. 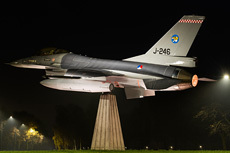 In this period, the F-16s from Leeuwarden would often land on Volkel after their first flight. 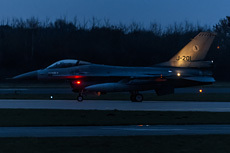 During the second wave of the evening, they finally land at Leeuwarden again. 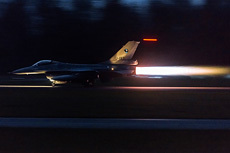 This exceptional situation has been set up in such a way to reduce noise at Leeuwarden Air Base, because this airbase is close to its annual maximum permissible noise emission. During the second wave, almost ten planes would be launched at the same time. 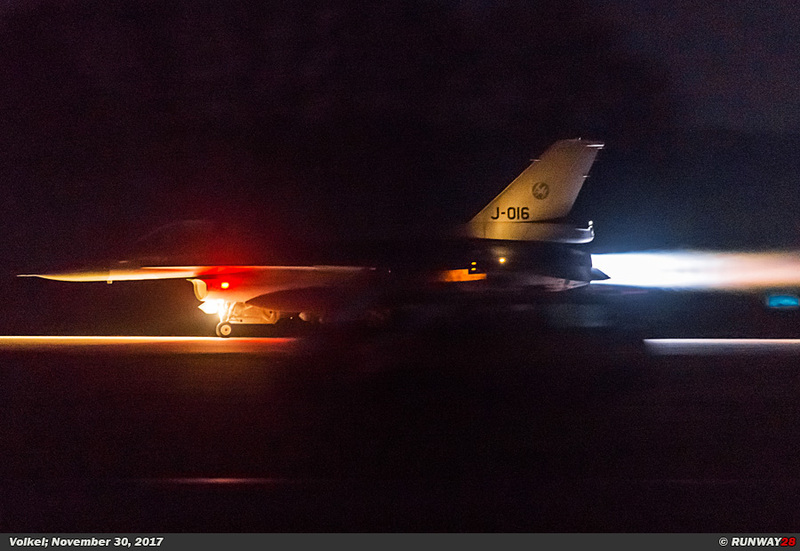 This is nowadays outside the major exercises exceptional in the Netherlands. 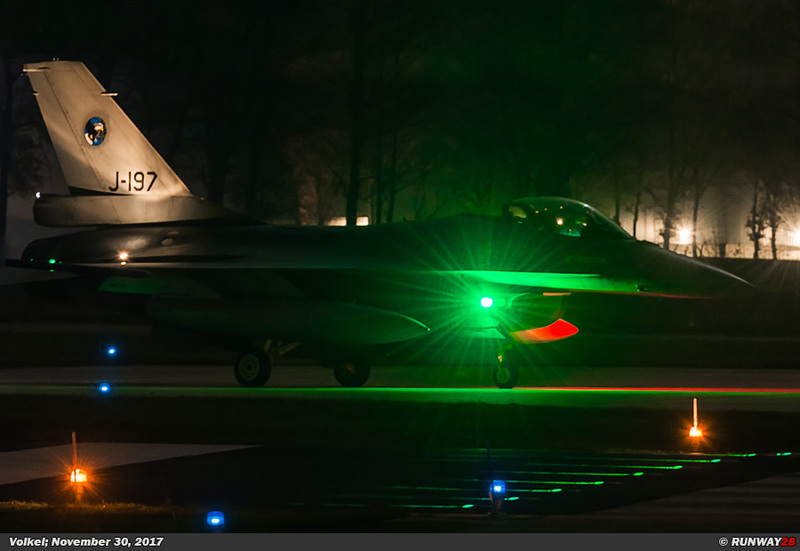 The Royal Netherlands Air Force has equipped the F-16s with two major systems that allow the F-16s to operate perfectly in the dark. Lancer, A-10 Thunderbolt and the B-52 Stratofortress. On the F-16, the Sniper ATP can be attached to the right side of the air intake of the aircraft. With the Sniper ATP targets can automatically be identified and tracked. The system also enables the use of laser and GPS-guided weapons against both stationary and moving targets. The system is capable of pointing out small tactical targets at great distances. 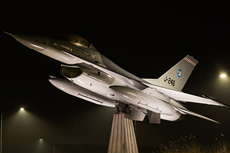 This keeps the F-16 often far beyond the reach of the enemy anti-aircraft installations. The pod contains an HD medium-wave dual-mode FLIR (Forward Looking Infra-Red), an HDTV for visible light, a laser spot tracker, a laser marker, a video data link and a digital data recorder. With this Sniper ATP, the pilot of the F-16 is perfectly capable of operating at night. The FLIR sensor in the pod ensures that the pilot can see through smoke, fog and clouds. 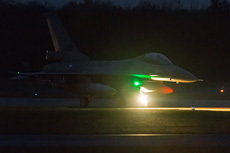 The pilot can also see in the absolute dark with the help of this sensor. Without the Sniper on the F-16, the pilot is almost blind when it operates in the darkness or with poor visibility. 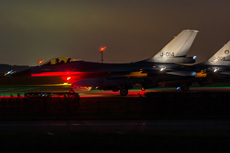 The Sniper is therefore an important instrument for the Royal Netherlands Air Force on the modern battlefield. 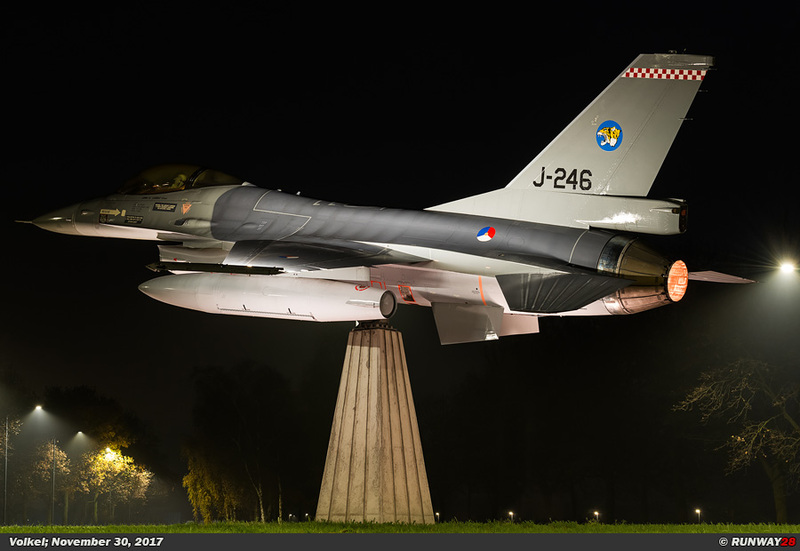 A second crucial instrument which the Dutch F-16 pilots have at their disposal is the Joint Helmet Mounted Cueing System (JHMCS). The JHMCS is a derivative of the DASH III system and the Kaiser Agile Eye HMD. The system was developed by the American Vision Systems International (VSI) which is a joint venture between Rockwell Collins and Elbit. 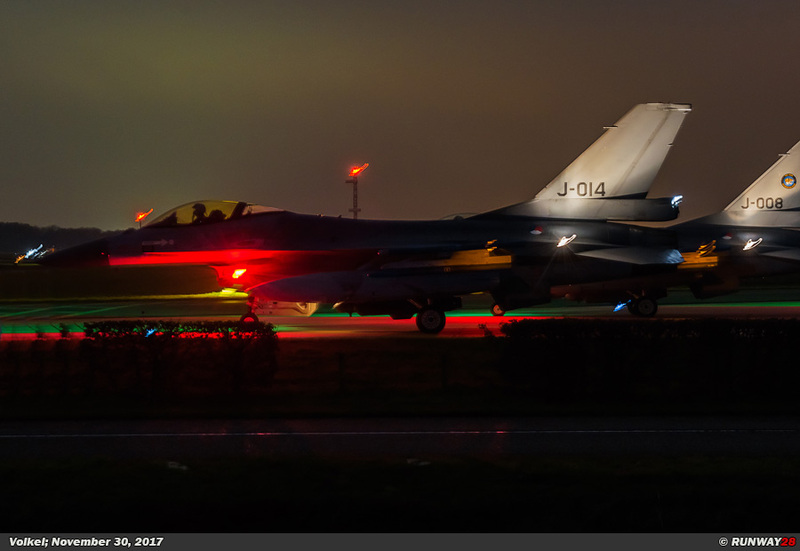 The JHMCS system is available for Dutch pilots since the end of 2006. The JHMCS is a system that is placed on the pilot’s helmet at the forehead of the pilot. Two types of modules can be mounted, namely one for daytime and one for night. There are two cameras and a beamer in the thickening on the helmet. 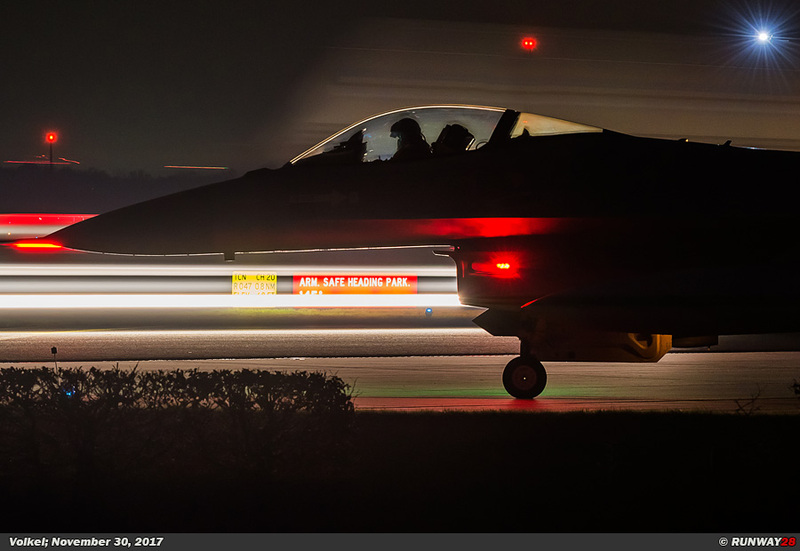 The two cameras detect what the pilot is watching at that moment. The beamer then projects important flight and target data on the inside of the visor in front of the right eye of the pilot. 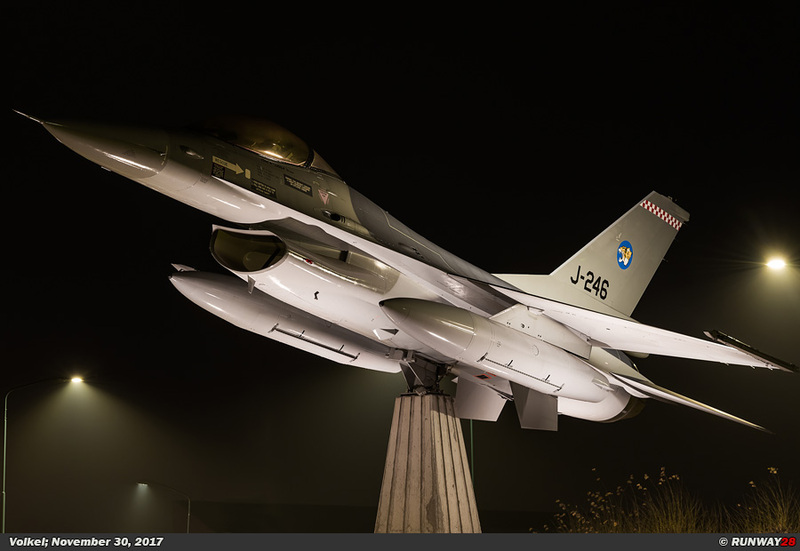 The system is linked to the radar, the data link 16 system and the Sniper ATP pod of the F-16. 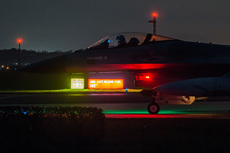 The cockpit is equipped with a magnetic sensor which automatically measures the position of the pilot's head. 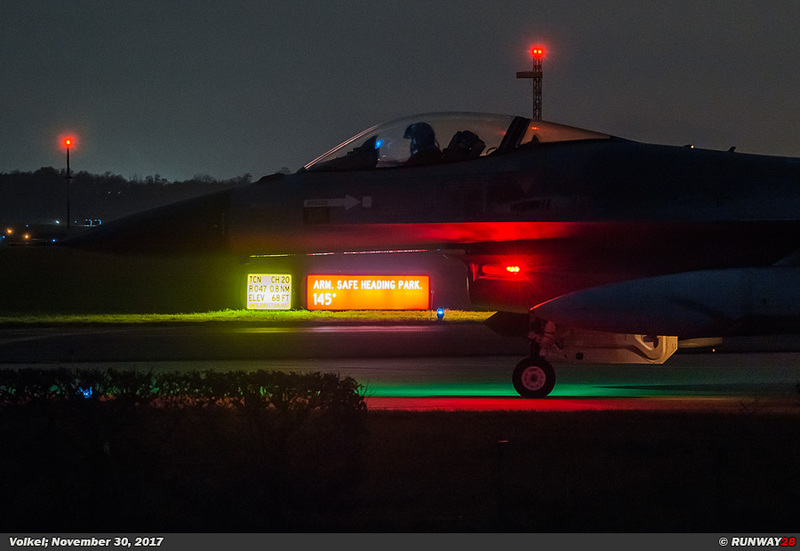 In the night vision module, which is referred to as the Night Vision Cueing Display (NVCD), the pilot has a view of 100 degrees in width at 40 degrees in height. 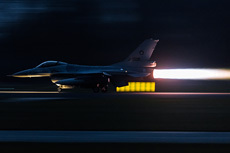 The F-16 pilot has with the help of the JHMCS system a considerably lower stress during his mission. Pilots are with this helmet configuration able to fly in the dark without being limited by the lower visibility in the darkness. 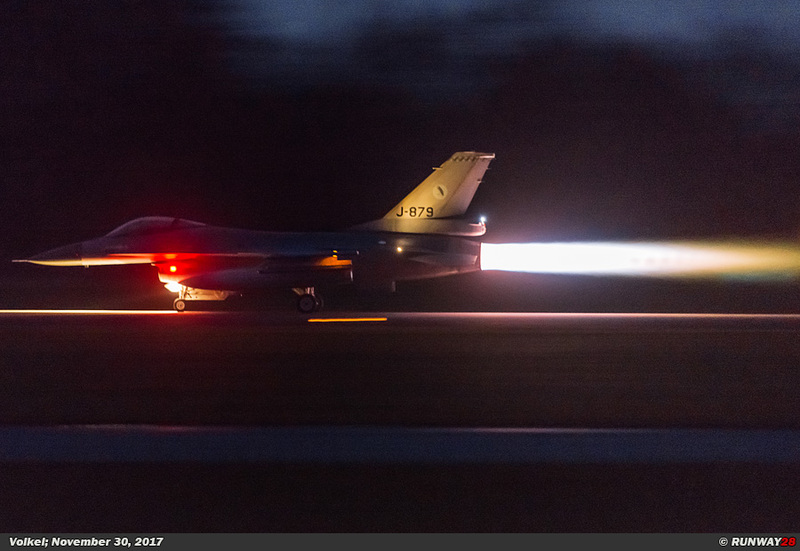 The combination of the Sniper ATP and JMHCS system makes the F-16 an effective weapon platform which can strike with deadly precision at night. 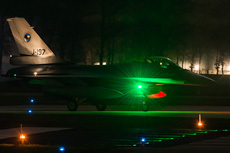 That the Dutch F-16s can be well used in the dark with the help of this modern equipment is not of all times. 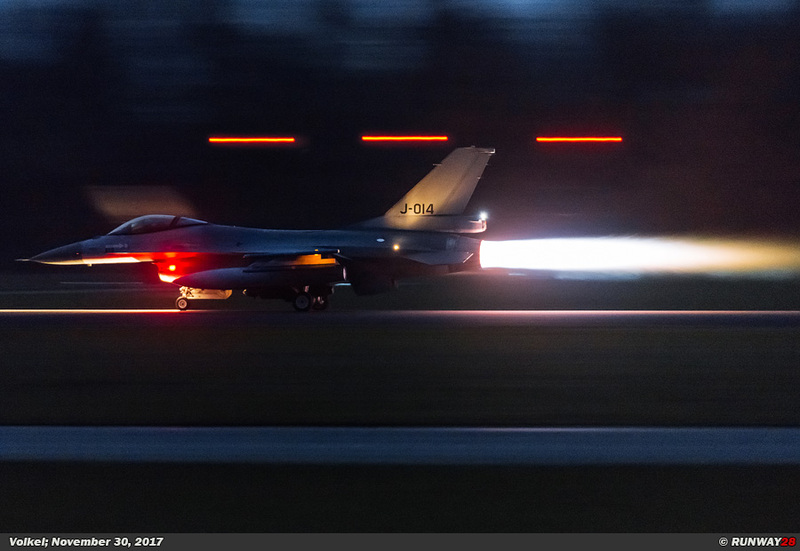 The Dutch F-16s have only been able to operate decently in the dark since the introduction of the MLU program in the late 1990s. For this necessary update night vision equipment for the F-16 pilots was limited to a simple Night Vision Goggle on the helmet of the pilot. 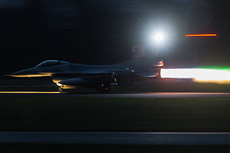 For airmen from Leeuwarden and Volkel Air Base, night flights are essential to keep the deployment readiness trained. 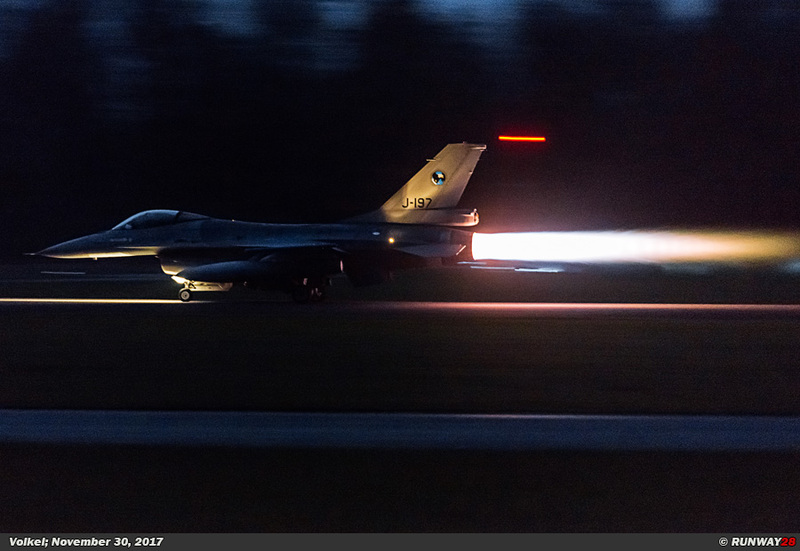 In 2017, the Royal Netherlands Air Force concentrated on the broad recovery of the employability of its personnel and equipment. 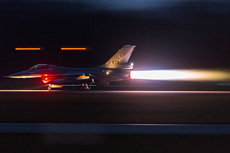 In addition to the regular training sessions at the Dutch airfields, F-16s from both airfields also participated in the exercise Red Flag 17-2 on the American Nellis AFB in Nevada. 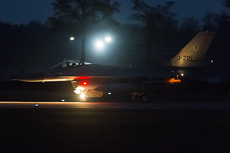 During this exercise, half of the missions were flown in the dark in an international setting. 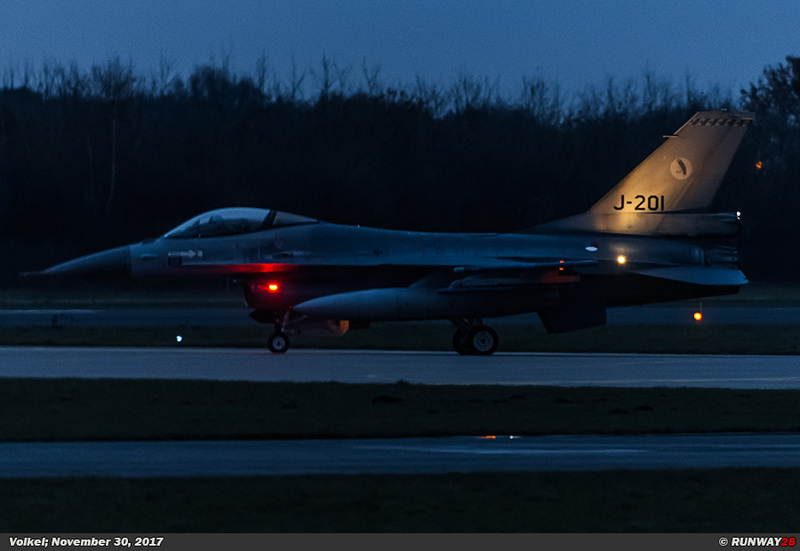 From January 2018, four F-16s of the Royal Netherlands Air Force will again participate in operation Inherent Resolve, which is the international battle against the Islamic State (IS) terror group. 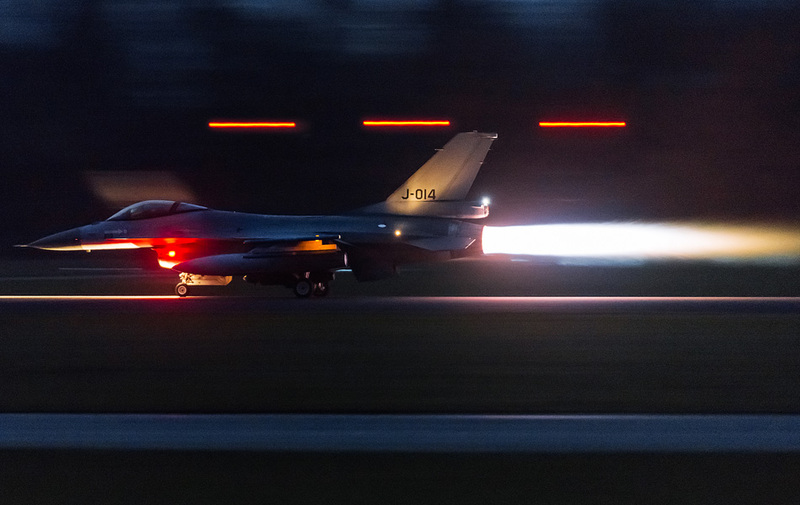 During these missions, many missions are flown in the dark by the Dutch F-16s. 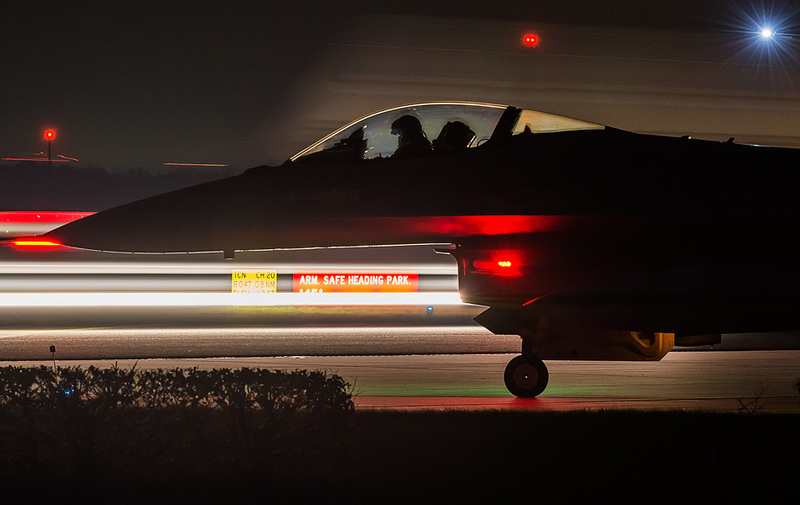 It is therefore vitally important that the pilots are well prepared for such missions.